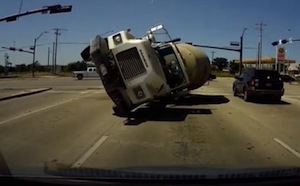 Pasadena Truck Accident Injury Attorney - Over 40 Years of Experience You Can Trust! Have You or Anyone You Know Been Injured in a Truck Accident or Car Accident in Pasadena? Our Pasadena truck collision injury lawyers and law firm provide high quality personal injury legal services for anyone injured in a truck accident, including collisions with big rigs or 18 wheelers and semi-trailer trucks, and for the families and relatives of those killed in truck and other deadly accidents for wrongful death claims in Pasadena, a city located in Los Angeles County, California. If you or a loved one was injured in a truck accident or car accident and suffered any catastrophic injury or was killed in a truck collision in Pasadena, Glendale, Los Angeles or anywhere else in California and has a personal injury or wrongful death claim, please contact us now for a completely FREE CONSULTATION and please click here to learn more about our truck accident lawyers and law firm. Pasadena has a population of 137,122 and is bordered by Altadena to the north, Glendale to the west, Arcadia to the east and Alhambra to the south. 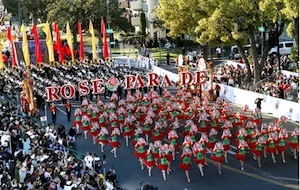 Pasadena is known for being the "City of Roses" for holding the Tournament of Roses Parade, where many different creative floats are unveiled and taken through the streets on New Year's Day, which is then followed by the famous postseason college Rose Bowl game in the Rose Bowl Stadium. Please contact our truck accident injury attorneys and law office now for a completely FREE CONSULTATION, if you or a loved one was involved in a truck collision or other personal injury claim in Pasadena, Glendale, Los Angeles or anywhere else in California. Victims of truck accidents deal with many different types of injuries, one being a hip fracture. A hip fracture occurs at the proximal end of the femur, which runs through the thigh near the hip. A hip fracture will almost always requires surgery with months of physical therapy to follow. The hip is a delicate location in the body and a truck collision may cause damage that takes several months to many years to heal. Please contact us now, including for referrals to doctors who may provide treatment without a request for payment until the claim is resolved, if you or a loved one sustained a hip fracture injury from any truck accident or other personal injury accident in Pasadena, Los Angeles or anywhere in California. The Law Offices of Gary K. Walch, A Law Corp., provides you with the strong advocacy that you need when you or anyone you know has gone through a catastrophic truck accident or other injury accident in Pasadena or anywhere in California, and at the same time the understanding and compassion to make this process easier for you and your family. It is our duty to aggressively pursue your rights and best represent your interests. Our legal staff handles accidents involving truck, car, train, bus, motorcycle, bicycle, uninsured motorist (UM), hit and run, pedestrian and much more.